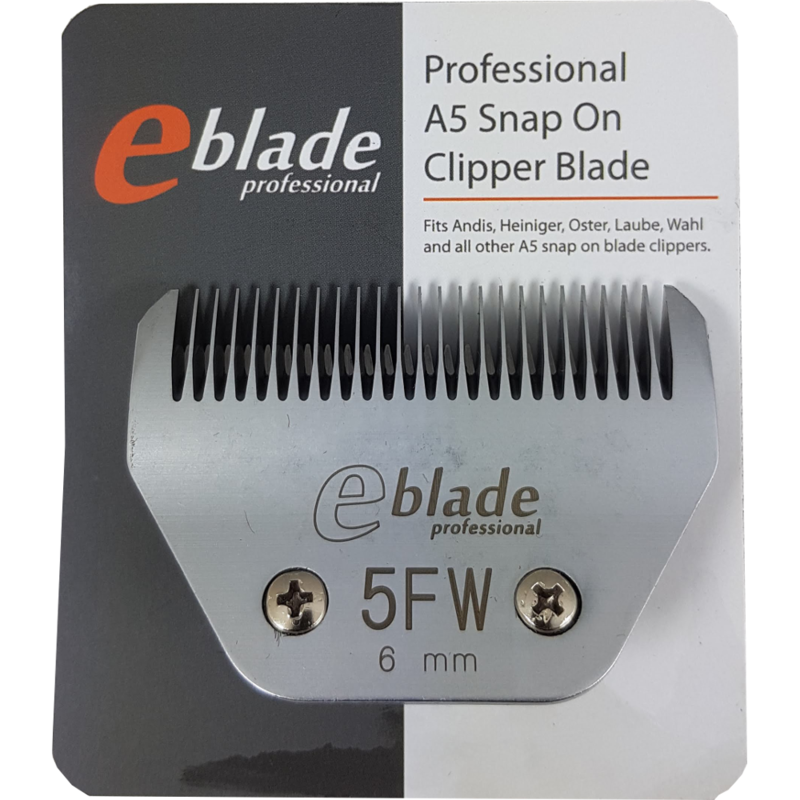 Our E-Blade Professional #5FW Wide blade will give you a 6mm cut and provide a smooth wide finish, especially designed to reduce clipping time on larger dogs or other animals. We purchase our E-Blade's in bulk directly from the manufacturer, allowing us to provide professional quality blades at a great price. Each E-Blade is subject to rigorous quality control so we can guarantee your blade will cut perfectly, straight out of the box. The #5F blade is the groomers general purpose blade, used for all over body clipping and is able to get under most matted coats. 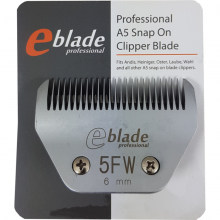 These blades are standard snap on A5 clipper blades that will fit most professional brands of clipper with snap on blades, including Laube, Wahl/Moser, Heiniger, Oster and Andis. They are used by, groomers, show exhibitors/breeders and pet owners. This hardened steel blade is as durable as the top brands of blade at a great price and can be resharpened multiple times to further increase the cost effectiveness of this blade. Try one today and see how it compares.